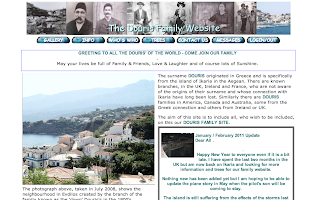 "The surname DOURIS originated in Greece and is specifically from the island of Ikaria in the Aegean. There are known branches, in the UK, Ireland and France, who are not aware of the origins of their surname and whose connection with Ikaria have long been lost. Similarly there are DOURIS families in America, Canada and Australia, some from the Greek connection and others from Ireland or UK." This site includes photographs, history, family trees, and more. 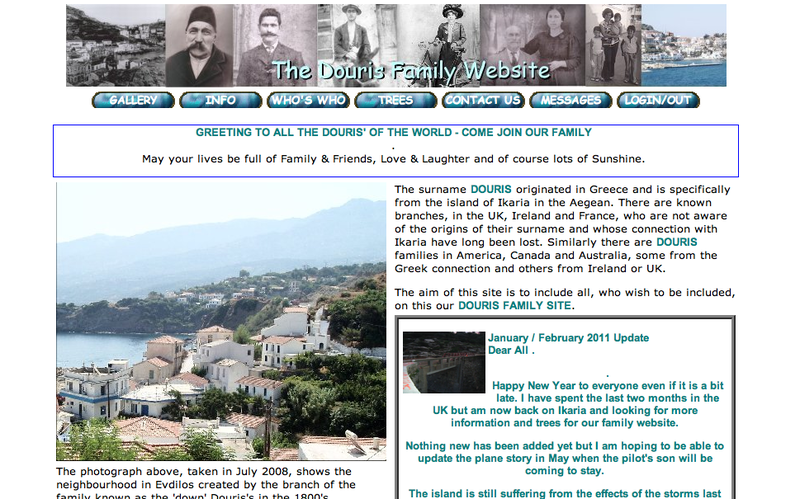 If you are related to a DOURIS take a look.